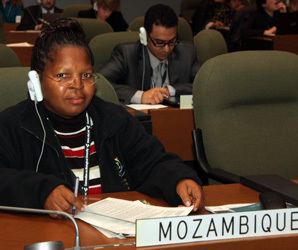 Delegates from Africa in informal consultations regarding EBSAS. 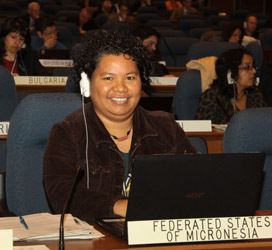 The SBSTTA 16 final plenary convened at 10 am on Saturday morning to resolve outstanding issues on draft recommendations on capacity building for the Global Taxonomy initiative, biodiversity safeguards for REDD+, and identification of ecologically and biologically significant marine areas (EBSAs). After prolonged discussions and informal consultations on EBSAs, SBSTTA 16 adopted these and eight other recom-mendations in addition to the recommendations on island biodiversity and the preparations for the fourth Global Biodiversity Outlook, which were already adopted on Thursday. Delegates also adopted the reports of the WGs and the meeting report. 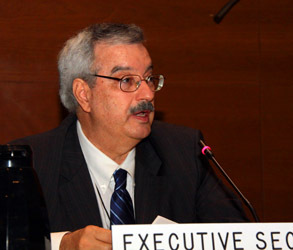 CBD Executive Secretary Braulio Dias said that SBSTTA 16 had underlined the important role that IPBES will play for SBSTTA and the implementation of the Convention, and encouraged delegates to promote the mainstreaming of biodiversity in all sectors through the review of their national biodiversity strategies and action plans (NBSAPs). 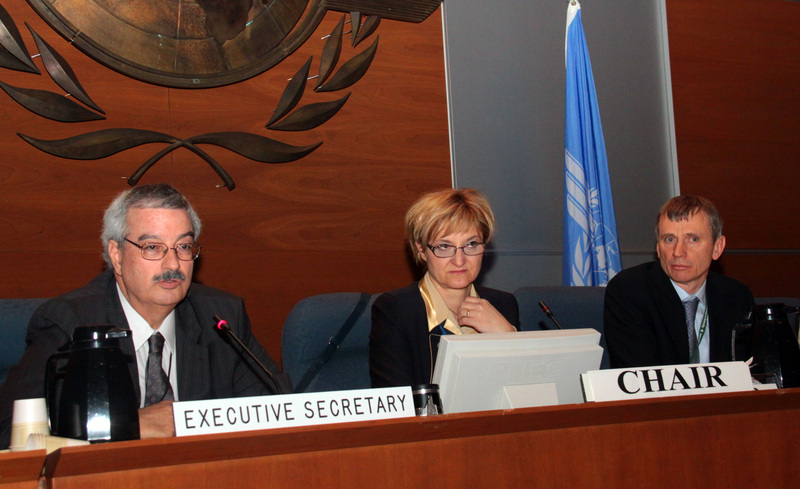 Chair Barudanovic thanked participants for their work and gaveled the meeting to close at: 4:16 pm. 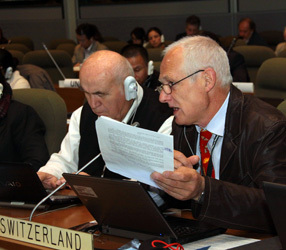 ENB Summary of the meeting in English and French now available (in HTML and in PDF format). 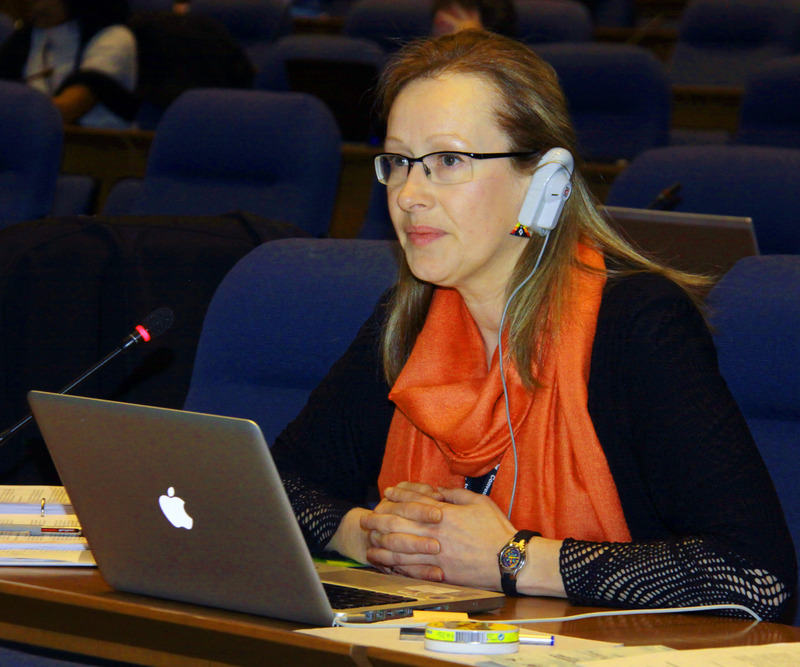 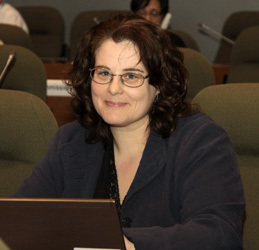 SBSTTA 16 Chair Senka Barudanovic gavelled the meeting to a close at 4:16pm. 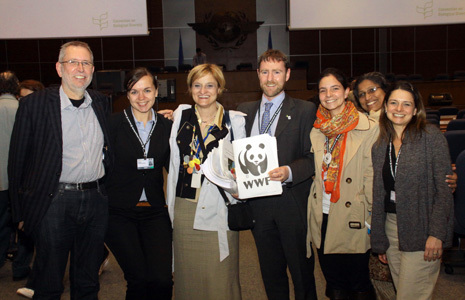 SBSTTA 16 Chair Senka Barudanovic posing with participants from WWF. 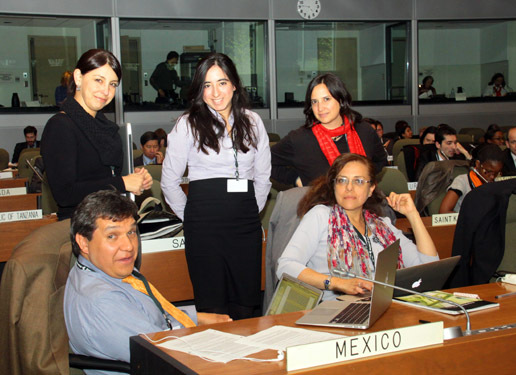 On Friday, SBSTTA 16 delegates met in WGs throughout the day and in the evening. WG I discussed outstanding issues on geo-engineering, collaborative work on biodiversity and agriculture, forests and biodiversity and health, biodiversity safeguards for REDD+, and also approved draft recommendations on biofuels and incentive measures. 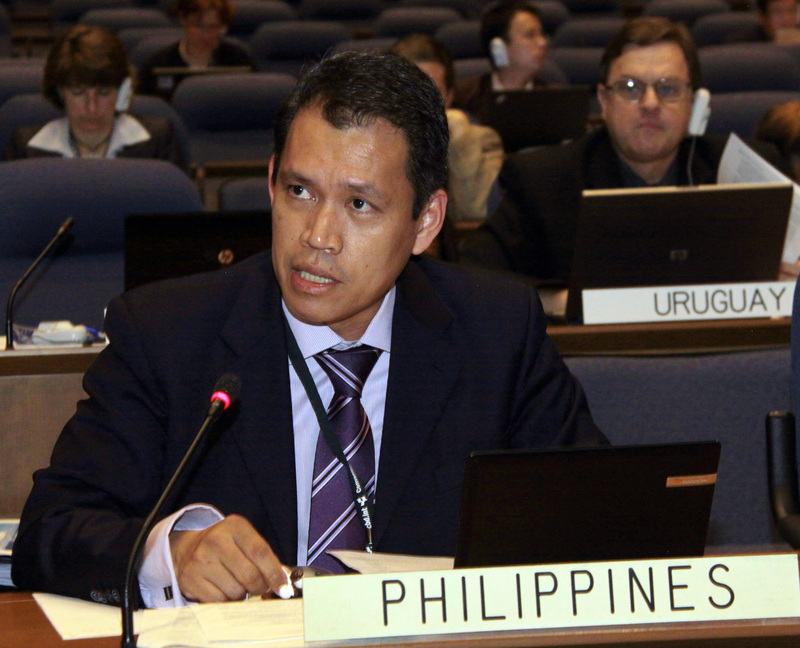 WG II continued considering revised draft recommendations on new and emerging issues and marine and coastal biodiversity. Both WGs also adopted their respective reports. 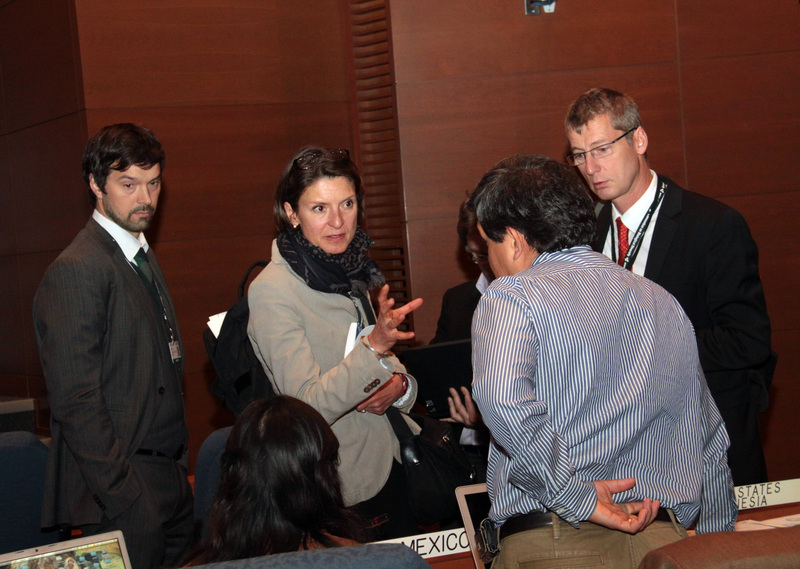 Delegates drafting compromise text on biodiversity safeguards for REDD+. 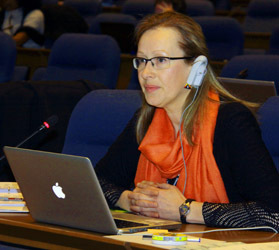 Delegates met in WG sessions in the morning and evening and in plenary in the afternoon. 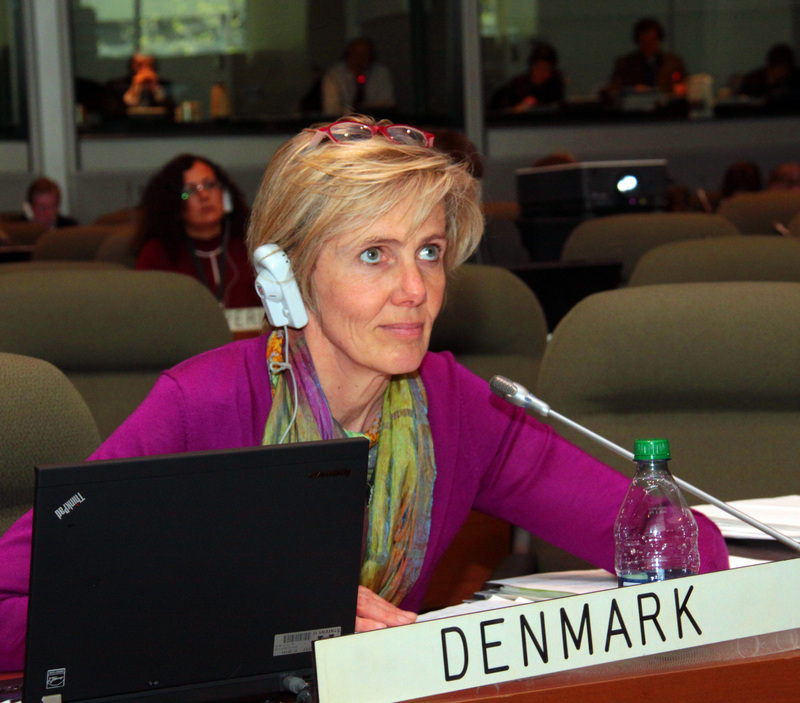 WG I continued discussing: integration of biodiversity considerations into climate-change related activities; incentive measures; and collaborative work on forests, agriculture and health in the morning and evening. 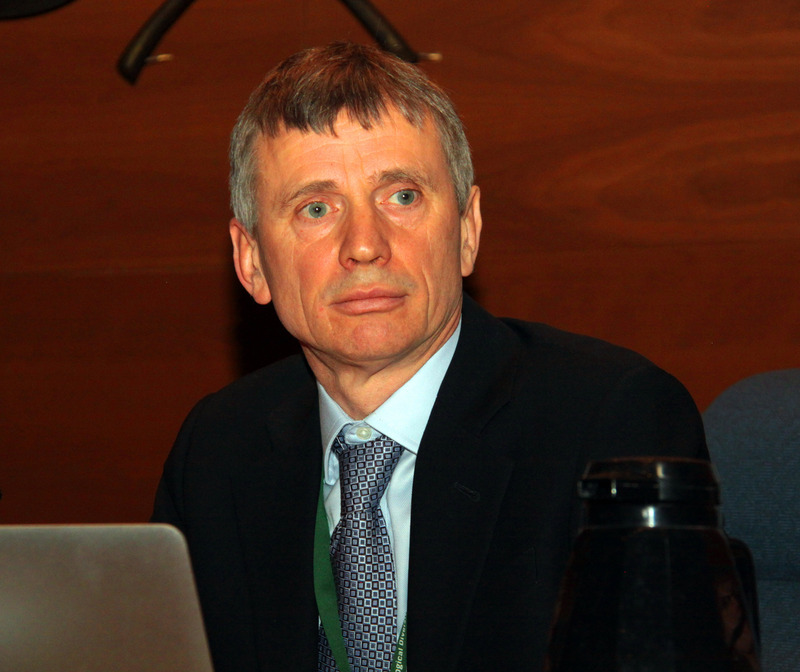 WG II addressed: the Global Strategy for Plant Conservation (GSPC); capacity building for the Global Taxonomy Initiative (GTI); and new and emerging issues. 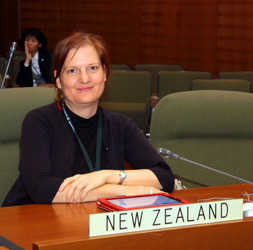 Plenary considered: ways and means to increase SBSTTA's effectiveness and collaboration with IPBES, and adopted recommendations on the in-depth review of the work programme on island biodiversity and the preparations for the fourth Global Biodiversity Outlook (GBO 4). 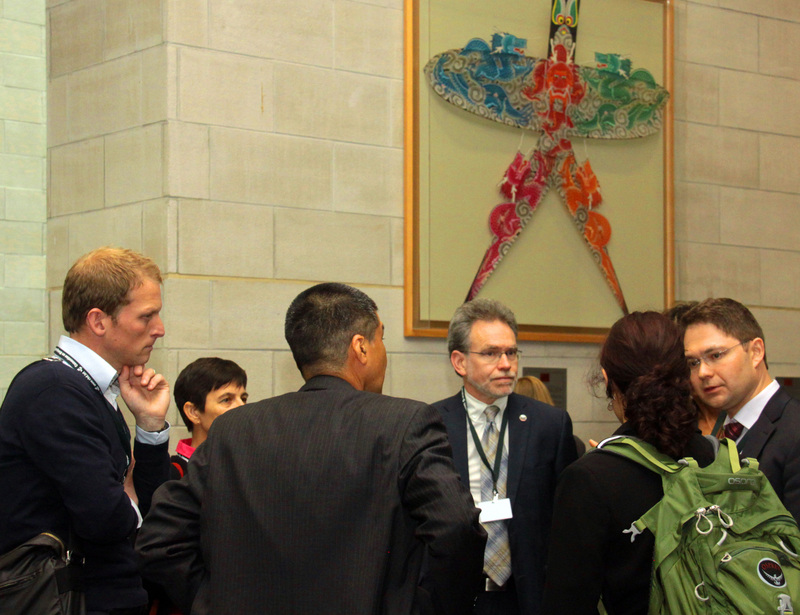 Delegates with WG I Co-Chair Gabrielle Obermayr, Austria, (center) discussing synthetic biology. 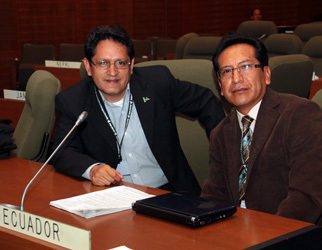 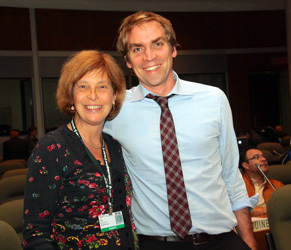 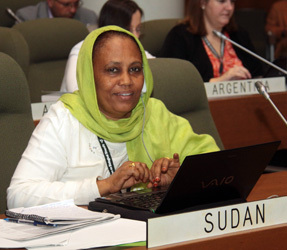 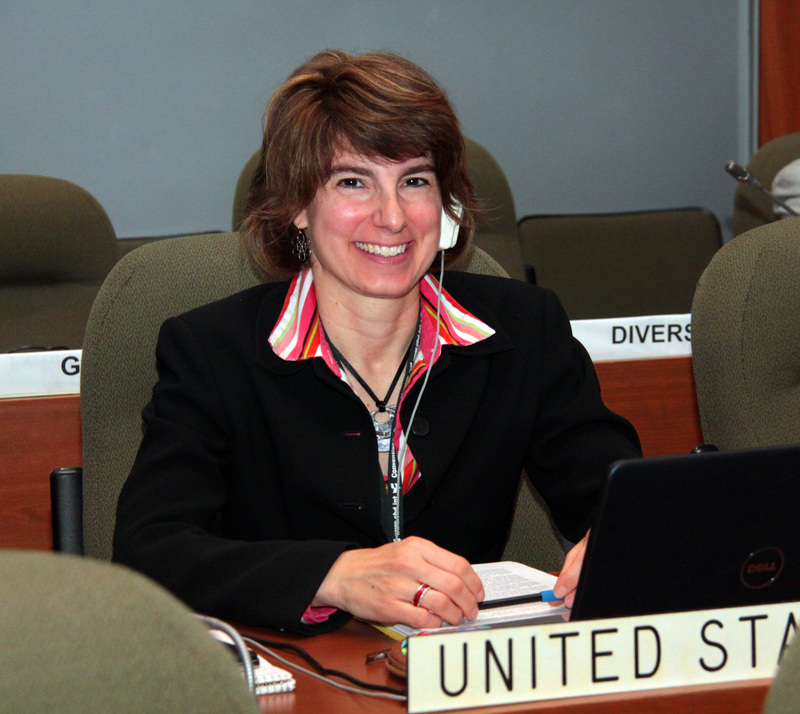 SBSTTA 16 delegates met in two working groups (WGs) throughout the day. 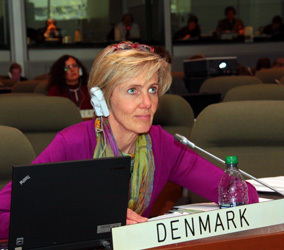 WG I discussed: collaborative work on forests, agriculture and health; the fourth Global Biodiversity Outlook (GBO 4); and proposals on integrating biodiversity considerations into climate-change related activities. 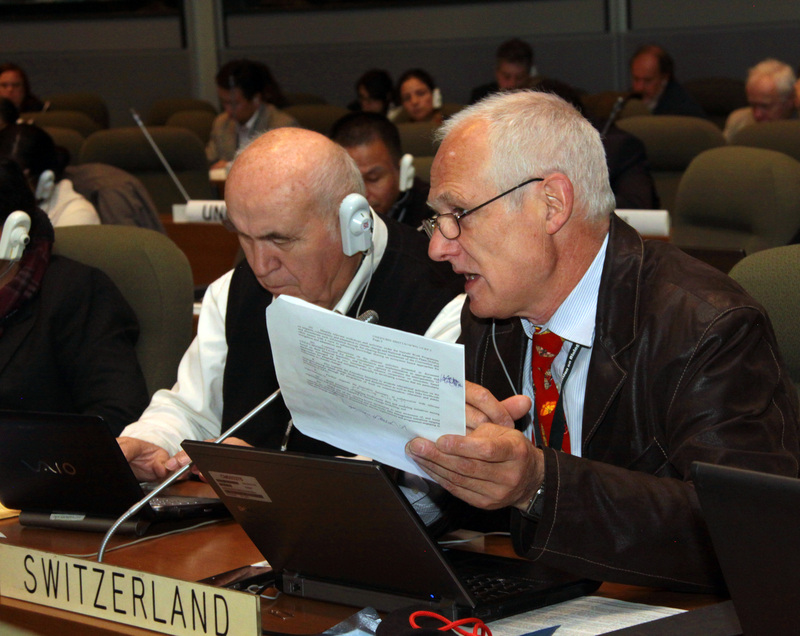 WG II considered: capacity building for the Global Taxonomy Initiative (GTI); new and emerging issues; and island biodiversity. 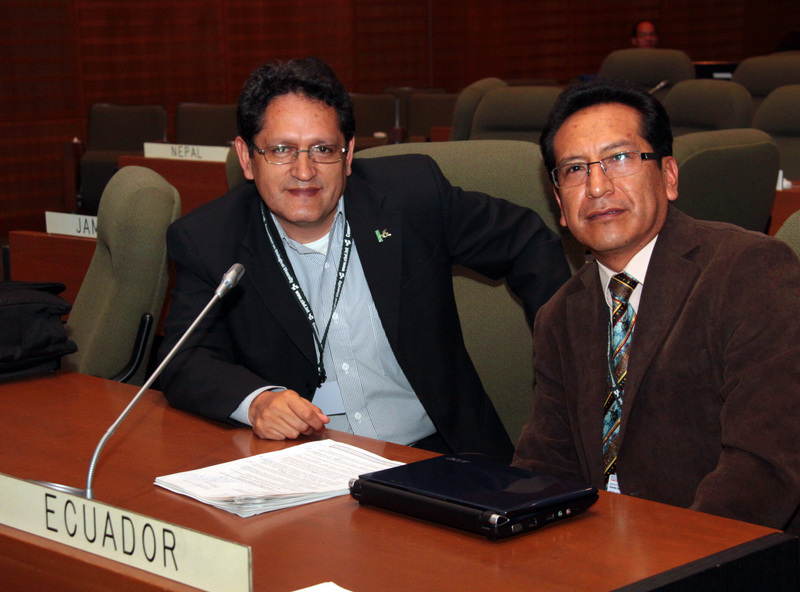 A contact group on marine and coastal biodiversity met in the afternoon and evening. Participants in a huddle discussing marine spatial planning. 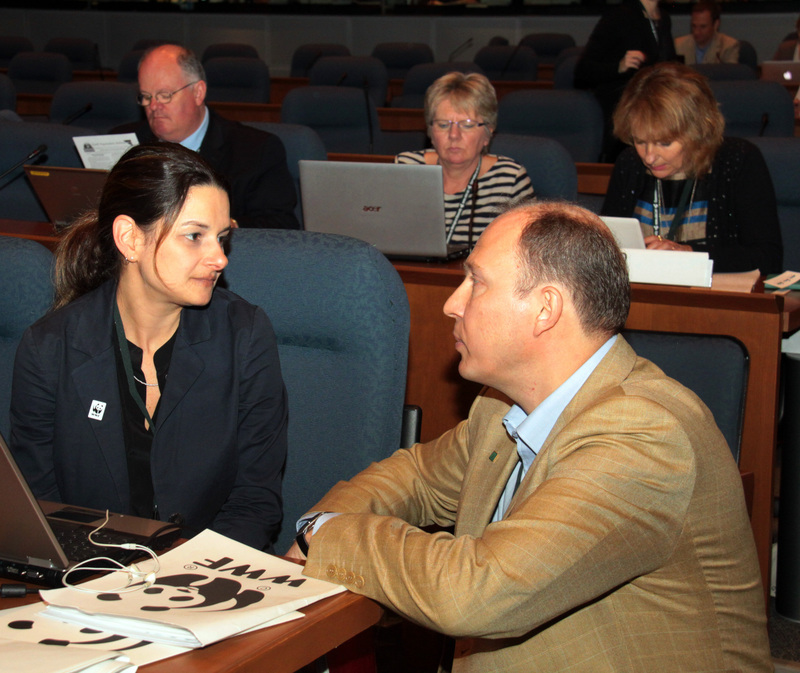 L-R: Daniela Diz, WWF, in a conversation with Alexander Shestakov, Russian Federation. 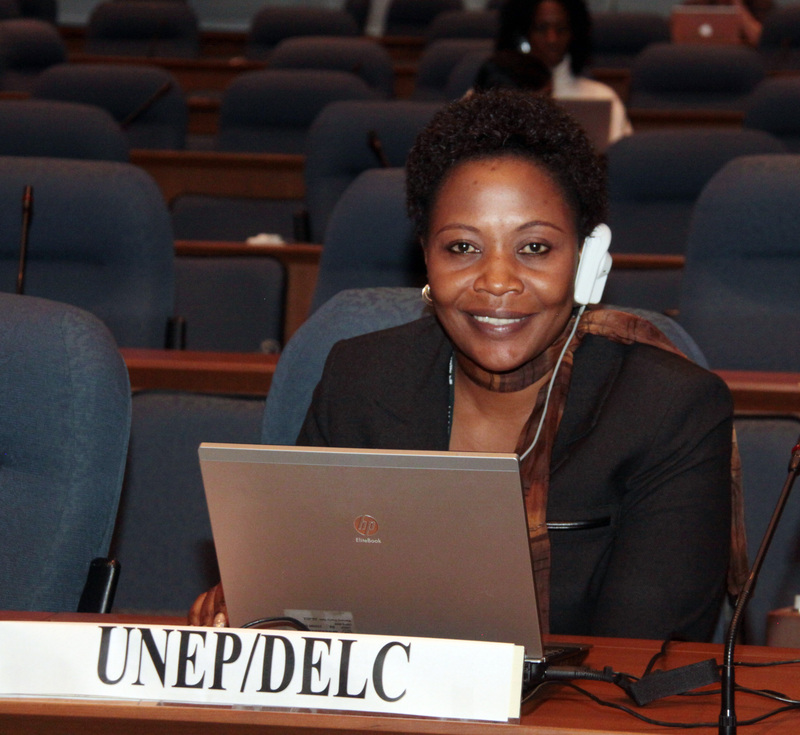 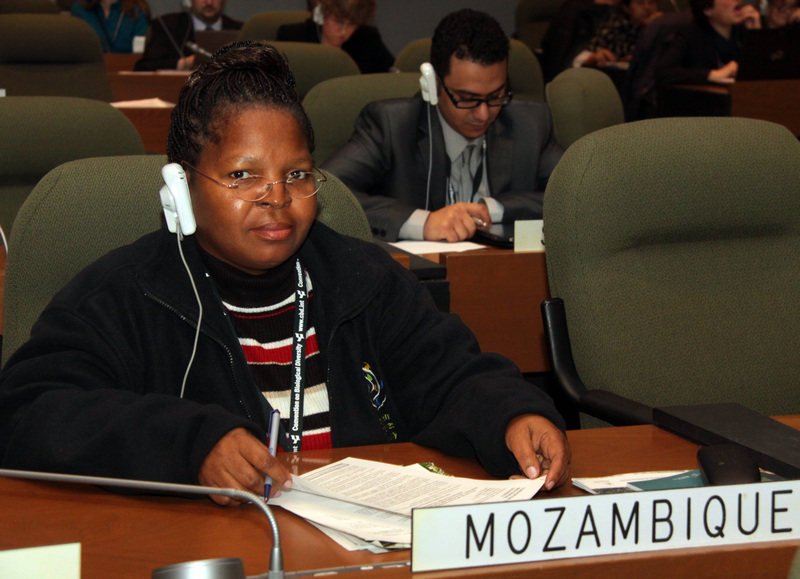 The sixteenth session of the Subsidiary Body on Scientific, Technical and Technological Advice (SBSTTA) to the Convention on Biological Diversity (CBD) opened today in Montreal, Canada. 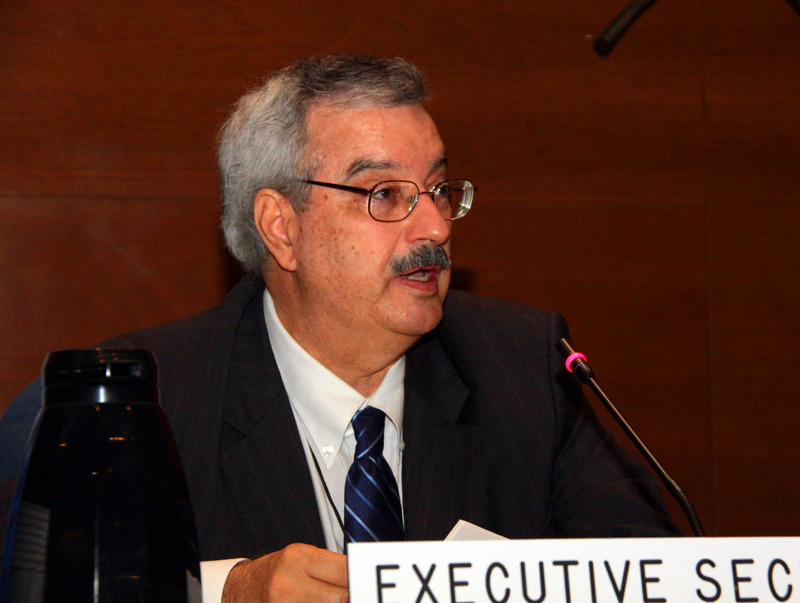 In the morning, delegates heard opening statements, addressed organizational matters and considered ways and means to increase SBSTTA’s effectiveness. 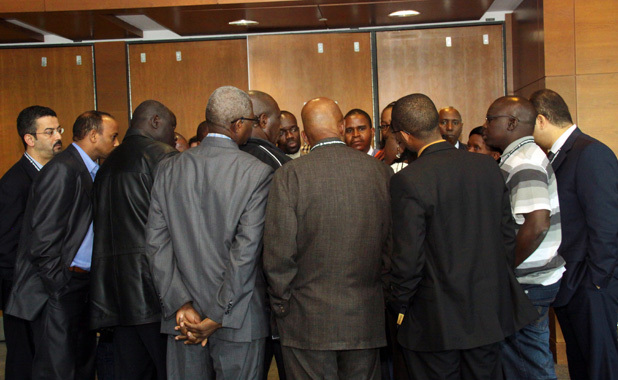 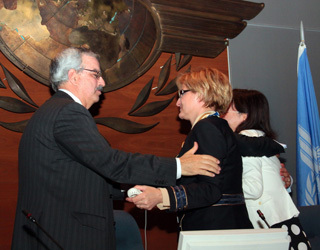 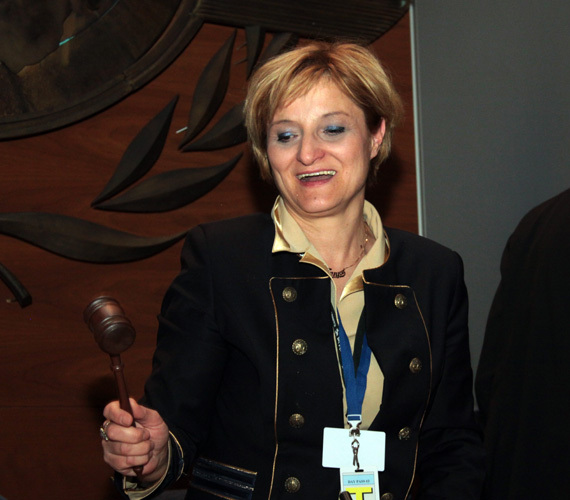 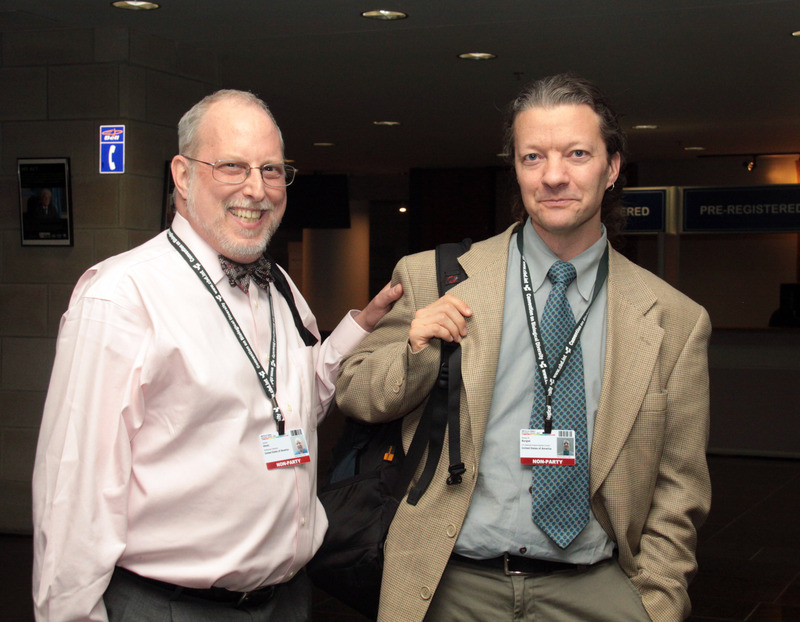 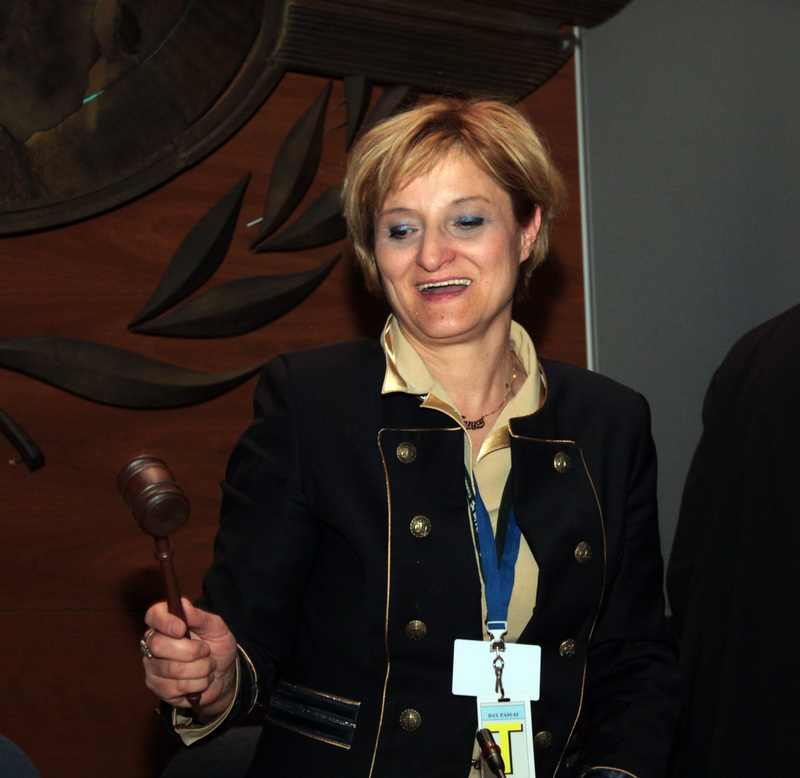 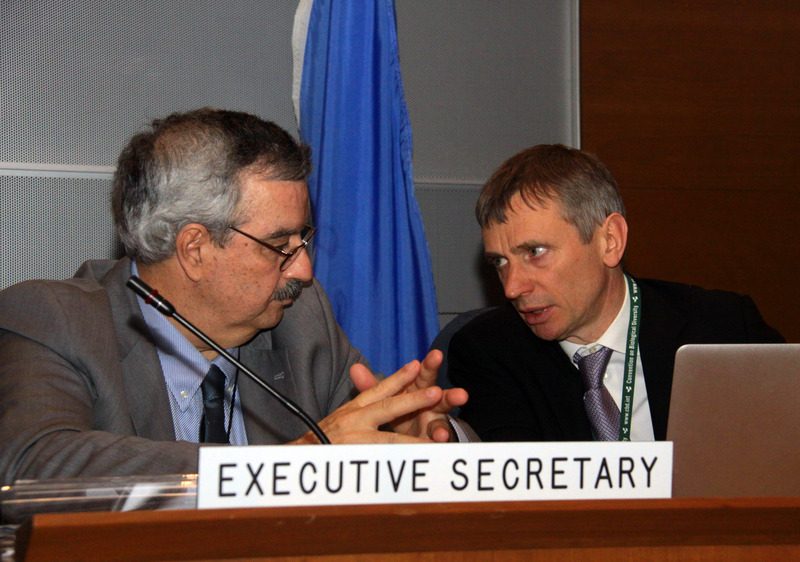 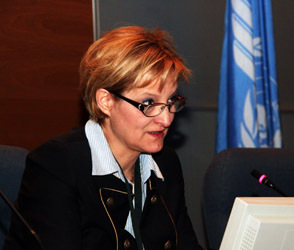 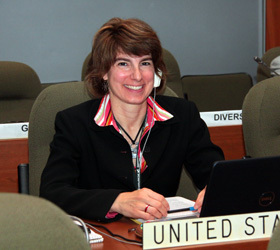 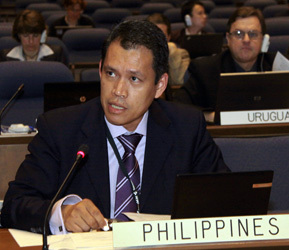 In the afternoon, delegates convened in two working groups (WGs). 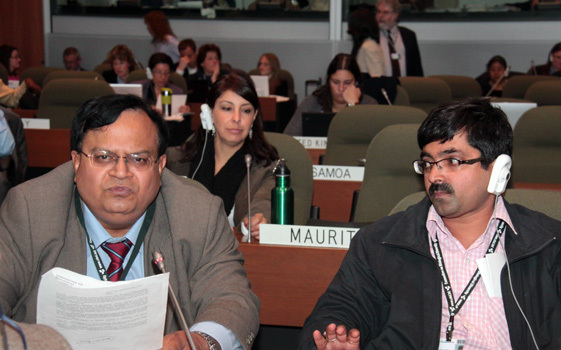 WG I considered the preparation of the fourth Global Biodiversity Outlook (GBO) and biodiversity and climate change. 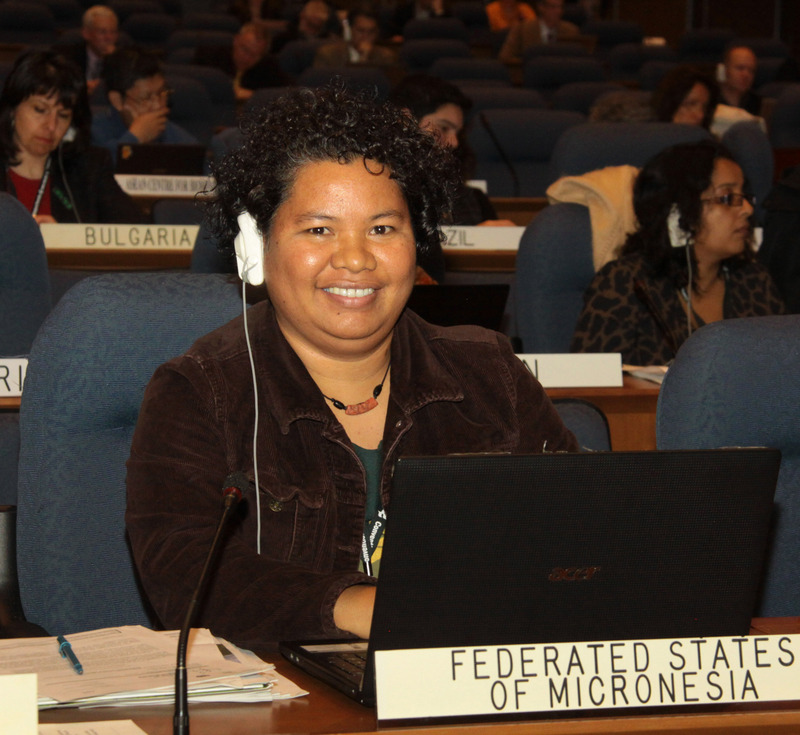 WG II addressed the in-depth review of the Programme of Work (PoW) on Island Biodiversity and ecologically or biologically significant marine areas (EBSAs). 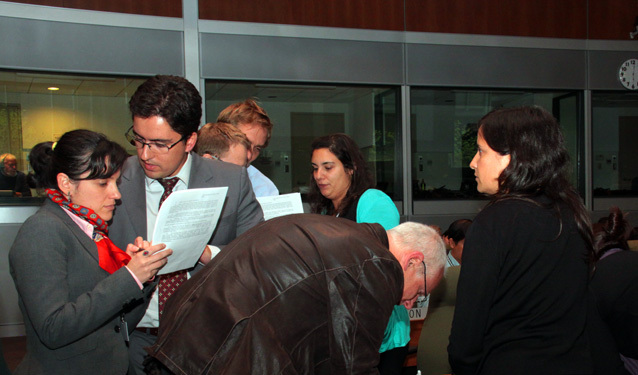 Several informal groups met in the afternoon and evening to prepare revised draft recommendations. 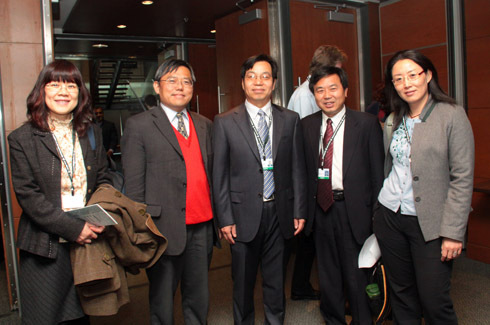 Yibin Xiang, CBD Secretariat (second left), posing with delegates from China.